Why hello there, my short haired reader (and no we’re not telepathic, you could be long haired, short haired or no-haired for all we know, but now you’re here so might as well plough on eh? Maybe you’ll pluck a thing or two from our omniscient wisdom, which is OBVIOUSLY limitless and eternal, as you’ll see now when you’re wondering what the Hell you just read) whether it be entirely on purpose, in a search for a spot of hair-wisdom, or by the hand of fate itself (fate, donning a short an cunning do), you have come to us at just the right spot. 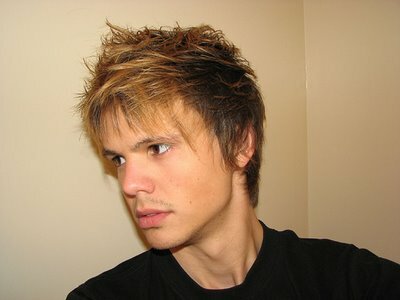 As it just so happens, this very article has been written with the intention of dealing with the issue of sorting through the mountains of short, trendy hairstyles out there in order to find the ones which’ll make a man look ready, and willing to take on a variety of different situations in today’s technologically obsessed and fast-moving world. As an author at the very forefront and pinnacle of staying hip and “with the times” (-readers simultaneously die of laughter, author begins to quietly sob-), this article will be written o keep you as informed as we can possibly make you. Below, will be a list of the five trendiest (feels a little strange typing that word, this author is literally a hermit) haircuts, that we thought were the highlights of the short haircuts out there, for men like yourselves. This cut was believed to have found its origin in the late 1980s, despite what its historic and somewhat extravagant name suggests (HAIL CAESAR) it did not in fact originate from the chaotic pits of Rome amidst the blood of gladiators and rare species of bear (a fact that should have the burliest of men crying tears of pure man-grief) Instead it was first borne by the likes of actor: George Clooney, and renowned rap-star: Eminem, throughout the nineties. As a result, this small and simple style gained much traction with the male masses and it has continued to do so, thanks in part to both its appealing aesthetic its ease of maintenance. In order to achieve this little style, you should have your hair cut down so that either side of your do is equal to the other, while the whole thing doesn’t have that much length. You should also buy yourself some product, with which you can push a little through your hair in order to shape it correctly. 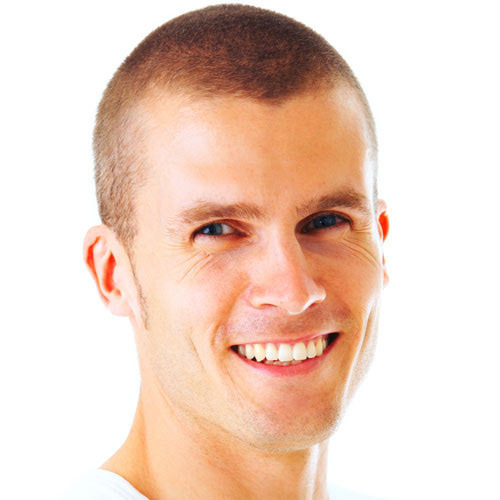 The High and Tight, as a standard military cut, doesn’t require any product or spray, instead only demanding that you have the sides and back cropped incredibly short and your hair kept as thin as humanly possible, though not quite as short as the Buzz-cut, where you scalp is always eerily shining up at you creepily. Now as fun as it might be, for some of you out there, to picture yourself flying around your living room, wearing an actual mop head and pretending your Steve Tyler on a bad trip, the Mop Top is actually a term that refers to the haircut, coined by the Beatles in the early 1960s. Yes you heard me, those cheeky dos, sported by Paul, Ringo and the rest. The legendary, the one and only, the timeless: Mop Top. This style sits upon your head like a cat, curling up to nest and clean its nether regions (though if your haircut actually does attempt this at one point we recommend that you see a doctor and/or Ripley’s Believe it or Not to claim a prize). Most would concur that the Mop Top died in the late seventies; however recent 60s/70s nostalgia movements have seen its revival as a retrospective style, a style that you can gracefully bare. In order to achieve the Mop Top hairstyle, you’ll need to have access to conditioner, hair mousse and a hairdryer. Aw Hell, we’ve had one retrospective style-why not another? We could just throw a big ole retrospective haircut party and Ringo Starr can serve us all mints. The Pompadour is often considered to have found its roots in the old Georgian haircuts of the 18th century, during the reign of King Louis the 15th. The style itself is named after the Madame de Pompadour, whom was a prominent noble lady at the time, though the style is considered to be more of a manly affair in the present day. More recently, the hairstyle might evoke an image of (brace for it) Elvis Presley (scream, faint and all that crap), whom donned this during his early and late career as a signature incorporation into his look. 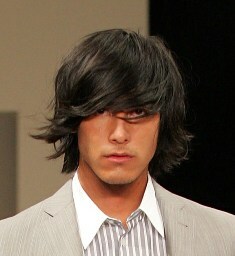 The style is quite high rising, and uses a lot of product to do so. And to top this glorious list off (leave for your own sanity), we have another variation on the traditional Military Buzz-but: the Butch Cut (You know, when typing a word lie Butch you really come to appreciate how absurdly close the U is to the I and how typing too quickly can lead to some highly amusing misspellings. Needless to say, we won’t be discussing the B*tch Cut today or at any point in the near future) this cut is also often known as the Brush cut or simply as the Burr. The Butch/Burr/Brush/more slashes Cut, due to its slightly thicker layer of hair on the top of the scalp, requires a little more maintenance than the High and Tight, traditionally being groomed using any sort of control wax. Specific waxes include the Butch Wax, which many use specifically due to properties that seem tailored to just this sort of a cut. Any hair, below the upper portion of the sides of the head, is removed with a clipper, something which helps it retain its practicality when prescribed to men in the service. This haircut is both practical yet not too thin so as to provide you with at least a little layer, for your aesthetic enhancement. Well that’s all we have time for today, folks. The five hairstyles we listed, though not all as trendy as we might have promised, just go to show how diverse a hair-spectrum we have in the modern day, what with retrospective revivals combine with a growing number of new hairstyles and even Military dos, adapted for civilian use. 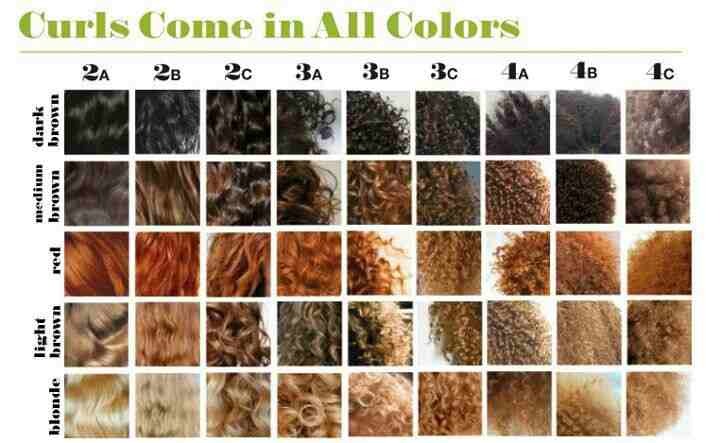 The list of styles to choose from, is long, illustrious and highly detailed , and, as always, we recommend that you spend more and more time looking into this ever-growing spectrum of different hairstyles and dos, in order to properly locate whatever you feel might be right to you, your day to day life and your overall general style, be it natural or otherwise. While we encourage you to keep looking, however, we also pray that our little (incomprehensible) list has helped point you in the right direction somewhat. Oh don’t worry; we know exactly who you are. You’re a 20-something shaggy-haired youngster, looking for a way to expand that mane of yours, till it blocks out the sun and you’re the biggest cat in town ( oh we all know that urge deep down), well don’t worry because we’ve got…what’s that? We’re completely wrong? You just want some stylish looking shaggy hair and aren’t looking to get spoken to by odd-sounding men on the internet on obscure articles on the web? We weren’t even right about the age? for God’s sake. Well okay, I think we can TRY to redo this stuff. So you’re looking to find yourself a stylish, shaggy do that you can bear in public and around town eh? Well before we dive into one of our (infamous) lists, we want to let you know how you might make the best of your hair and to make it as shaggy as possible, should you want it to be. First things first, if you want a shaggier do you’ll have to start out with determination by growing it out as far as you might dare to go. You’ll want to go as long as you possibly can without making any alterations or trims to your do, letting it grow out naturally for as long as you possibly can. Man would assume that this is the only thing you’ll ever need to do in order to make that hair shaggy, but sadly that isn’t the case and the lion must tend its mane (not that all shaggy hairstyles have to be lion like, although they are pretty beastly like that). Try to avoid using straighteners at any and all costs, as it downplays the fullness of your do, and thus the shagginess too. Should your hair also happen to be curly, you might want to have a razor-thin cut taken every few months or so, by trimming the ends of your hair ever-so-slightly. Should you have a finer hairdo, which can’t sustain much damage, you should have your do bevelled a little, while also razoring it so that it has more texture. 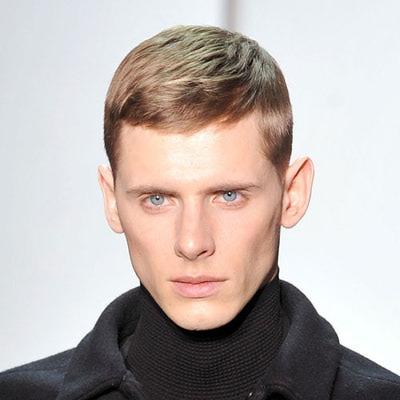 You’ll also want to use some form of gel for texture, giving it a slightly shaggier appearance. Do all of this, and you can make do so that you have plenty of freedom when it comes to the styling process. Right, now that’s out of the way, it’d time for the=long haul (of writing that is) Now most of the styles we show here, sadly, won’t be gigantic mains, and rather just shaggier versions of some pretty stylish dos, however a shaggier do will give you more of an ability to accomplish a larger range of looks. Okay, so admittedly that title might bring the ENTIRELY wrong idea to mind and might put a few people off of the rest of the article-but fear not! This hairstyle isn’t as freaky as it all may seem. 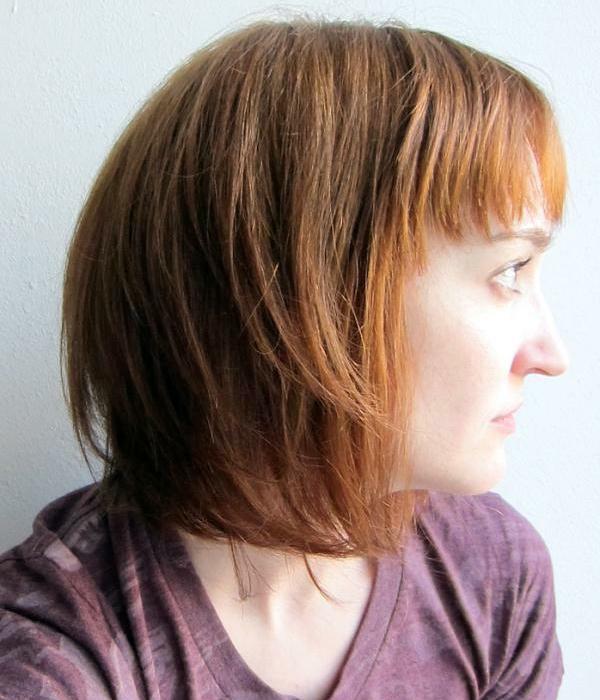 In fact, this do is really a longer, shaggier variation on the Bob cut, which reaches down to over midway-down the neck at the backs and sides, with the sides bevelling down from where they meet the bangs, which reaches down to the forehead. The do frames the face rather nicely, highlighting the chin. You can attain this hairstyle, by using a styling product on your hair, when damp, before blow-drying it with a dryer and a brush. After this, you should curl your hair with a curling iron (don’t forget thermal protection) and proceed to apply a more flexible hairspray, after this you should be done. This hairstyle can be attained rather well with finer hair, it might surprise you to hear. Okay so as much as we regret how that titles suggests two horrible things have been brought together into one haircut (scene culture-save us all), this do actually feels and looks pretty great, giving you a thicker do which reaches right down to just below the mid-neck at the sides, while the back is somewhat shorter. This do is definitely made to allow for greater emphasis on the nose and chin. And now one for those with the finer dos, this cut only make use of a much thinner shag, reaching down past your cheeks to gently brush the base of the neck, thus descending down upon the face and framing the cheeks in a rather quaint fashion. This style’s simplistic name (that this author totally didn’t come up with himself, he swears) betrays it’s actual look. This look has all of the trademarks of the short and casual haircut, that many are fond with both on and off the red carpet, with its shorter sides and back, however the top on this do is much ticker and shaggier than its counterpart, giving it a little rise above the rest. You can obtain this cut, by drying your hair via towel and then working a bit of styling cream through your hair with your fingers , arranging it in such a way that it has a flip-up at the front while also giving it that sort of bed-hair-ish appearance. This cut is a variation on the side-step haircut that you’ve been so fond of all of these years (“OMG how did you know?!? !” we’ve got talent, son) This cut has most of its thickness, much like with the previous cut, towards its top , with some short sides and a shorter back. You can give yourself this cool do, by drying your hair with a towel, when your hair is damp, and then finishing it off with a blow drying, to direct the hair over to one side of the head. You should use your fingers to work your hair towards one, side, while maybe also using them to work in a little texturing product. Okay so we admit that these names are getting a little ridiculous, but hey we’re just describing what we say and putting it to paper…somehow that was supposed to justify it but oh well. This cut makes use of something of a layered-looking shag, which is short at the sides, thick at the top, and longer at the back. The ends look a little shard-y and broken, but that’s all a party of the look man. You can obtain this do by: drying your hair out with a towel before using a hairdryer and a paddle-brush, using this to try to create that distinctive look. Once done, you should apply a little styling cream and run it through your hair with your hands, helping it to mould the previous-look which you’ve established. We hope that some of our suggestions have proved to have been at least somewhat appealing to you. You should keep in mind that, as we established previously, it isn’t possible (well okay, we’re being a bit melodramatic but it’s a lot harder this way) to create and maintain a shaggier haircut, just by growing it insistently in the hopes that out grows out shaggily. Keep in mind that you should, above all things, avoid most gels and straighteners, in order to avoid downplaying your shagginess for as long as person and thereby giving yourself more freedom with your do when the time comes. Hello there friends in this article we’ve compiled the top seven short hairstyles which we’ve deemed the most appealing to a lady looking for the right style for her. We’ll also be looking at how you can achieve these hairstyles with minimal effort. 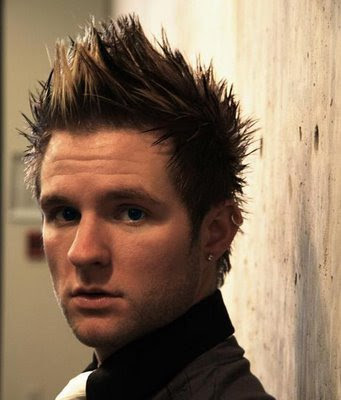 And now, for the first item on our list, we have a hairstyle which should look relatively familiar. That’s because this is one of many deviations on the classic Bob cut, a style which has seen much attention in the social and fashion realms since it was popularized by actress Emilie Marie Bouchard in the 1890s. You might have spotted variants of this style in movies, out and about, or on the catwalk. The image above is actually a nice wig you can purchase on ebay here. 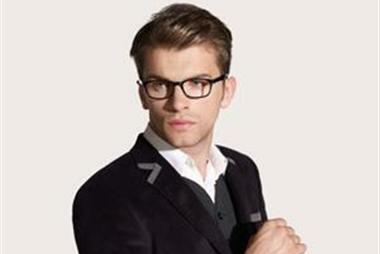 You can achieve this cut by: running a styling product to your hair, when your hair is damp. Next you should use a brush to sweep the hair at your head’s nape to one side, against the shape of your head before blow drying it. 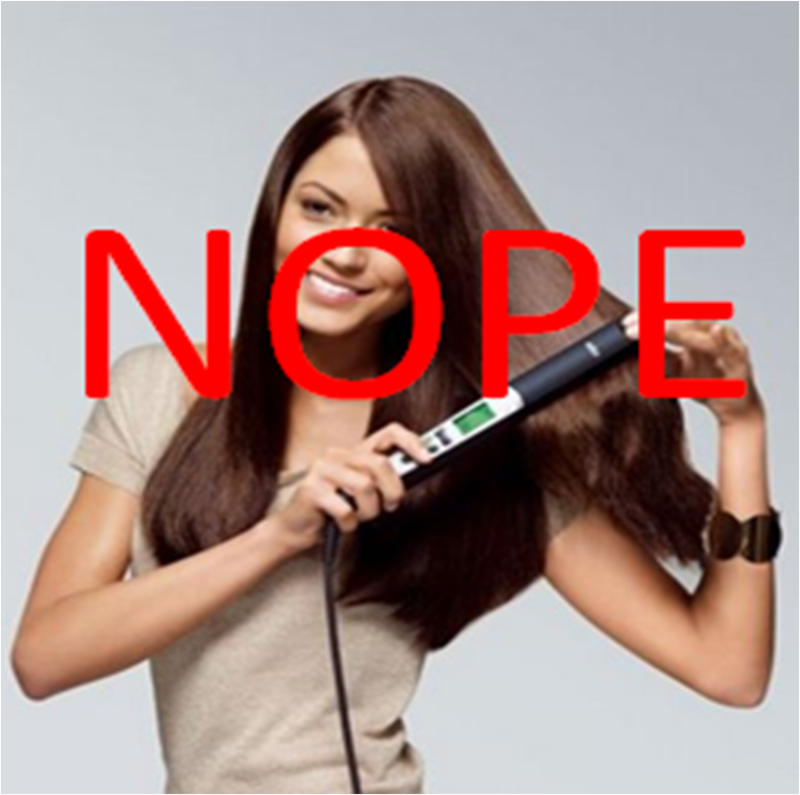 Next, you should blow dry your hair using both a hairdryer and a brush, before applying a little a texturing product. After this you should be set to go. Secondly, we have a haircut which makes use of thin layers which texture your hair like it’s a pretty decent sculpture (Which is to say, any sculpture which hasn’t been made at a Liberal Arts College. On a completely unrelated note, this author will be hiding in his student-proof bunker if anyone should need him). This style hugs the shape of your head with a personal closeness, being barely long enough to cover the back of the head and brush the very top of the neck, while the sides reach down a little lower. You can achieve this look by first adding a little styling product to your do, when damp. Next you should dry your hair using a hairdryer and a brush, pressing your hair against the shape of your head when possible. Finish it off with the application of some texturing product and you should be fine. You can obtain this do by adding a little styling product to your hair, when damp, followed by a thorough blow drying, with both a hairdryer and a brush. Following this, you should start curling your hair with a curling iron on medium heat, before securing your newly formed curls some sort of a holding spray, though preferably a flexible one. (Pay no mind to that peculiar/outright disturbing sounding title. This section has nothing to do with defiling your favourite childhood creature). This do is a thicker and wavier variant of the renowned Pixie cut , which originally came about in the 1950s and was popularized in the realm of Hollywood, by the likes of Jean Seberg and Audrey Hepburn. This cut brushes the ears, back of the neck, and most of the forehead, remaining relatively modest in its short length. You can accomplish this do by using a little styling product on your hair, when damp. Following this, you should blow dry the front of your hair and the fringe with both a hairdryer and a brush, after which you should use a hairdryer and your fingers to dry the rest of your do. Finish off with a little extra texturing product and you should be alright. Now here’s that serves a double purpose. On one hand, it’ll give a bit of fashion and a bit of edge all in one do (think a Rage Against the Machine fan fit for a catwalk)¸while also giving your small spikes which’ll scare off any potential home invader if the edgy look doesn’t already do that for you (please note that this is poor satire, and that chasing potential burglars around with your head pointed straight at them, is something that’s more liable to get you put in an insane asylum than it is to yield results). The cut is probably the shortest we’ll list, with more hair being directed towards the top of the do. To obtain this do you should arrange your hair, when damp, using your fingers in order to pull you hair into the desired shape, pulling your bangs forwards while smoothing out the rest of your do at every except for the very top, where your spikes will flourish. After doing this, you should try and allow your hair to dry naturally in order to not destroy/undo any of the edits you made earlier with your hands. Following this, you should finish off by using a styling product of your choice to spike up the top ad finish off whatever you feel to be necessary. Okay so that name is hardly professional, but we do our best with what we have (which is an author we rescued from the local brain-aneurysm ward). This name can be explained by the fact that your bangs are swept across your head, where it joins up with a far-reaching side of your hair which reaches down to brush your shoulder, while the other “arm” of your hair, reaches down to brush the lower cheek. You can achieve this do through the following steps: first, you should run some styling product through your damp hair, following this up with a lengthy blow-drying, using both a brush and a hairdryer to brush your hair over into the right direction. Finally, you should apply a little texturing product and you should be all set. And just to polish off this list, we thought we’d finish off with the full-on classic Pixie (there also might have been a shortage of ideas, something which shouldn’t shake you to the core too greatly). 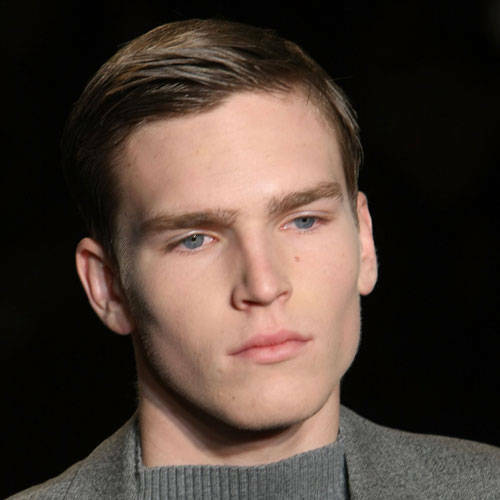 This cut is smooth, short, and can bring out the shape of your chin and jawline in a very striking way. Getting this do is incredibly simple. First you should use your hairdryer and your fingers to direct your hair over to the site when it’s damp (provided your hair is cut to just the right length) and, after applying a little pomade or holding spray, you should be as good as gold. And that’s all we have for you today (this author’s discreet way of saying that this is all he could muster before he fell forward onto his own keyboard and wrote the rest of the article with his face). Remember, to consult your stylist/barber if you ever need to know the specifics of attaining any of these dos, when it comes to having the right lengths and measurements, as these shorter dos often require specification. If you don’t have a spare barber or stylist lying around in the cupboard somewhere, then you should simply turn to your faithful companion, the internet, for any needed tips and tricks. Well, my short haired masculine friend (don’t be frightened by our manner, it’ll all be ogre soon), you’ve been searching for the best tips regarding short men’s hairstyles for some time now haven’t you? Don’t worry, I can tell. I can see the fatigue in your eyes (mouse clicking can be strenuous stuff, man) and the pain in your heart (uh, what?). Well here we have a place where you can shelter from the storm that is the internet-a great hive of procrastination and distraction. Oh that’s right, we know what you’ve been up to. You set out to find the finest tips about short haircuts for men, and you ended up playing Candy Crush for a bit before messaging John to see if asked out Stacey. We know you’re game, man (for the record, John is a dashing bloke and we won’t blame you in the slightest). Well now, you can sate your thirst. 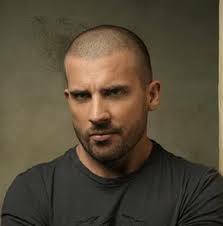 Below is a list of the six best short haircuts, which we could find for you gentlefolk out there, as well as tips regarding certain products and how you can achieve these cuts. In order to gain this look, you need to first work a little styling product into your hair, when completely dry. Then proceed to use your hands to manually spike up your hair, placing particular emphasis on getting some height in the centre spikes. Finish off by twiddling and twisting small strands of hair around your do, give it more unique pieces. If you’ve been entrances by this cut already, just going on the name, then we won’t blame you at all. To bear the do of Happy Gilmore, is to accomplish something indeed (even if this won’t suddenly turn you into an immediate swearing, golfing hero, who could knock his neighbour’s garden ornaments down from a mile away, right away anyway). This simple cut, which gives you a thick, but smooth, layer of hair at the sides, tope, and back of your head, which are all shortly shaven, has been the signature do of Adam Sandler for what seems to be his entire career. The do is square, sensible, easy to maintain, and perfect for just about any situation, including work wear, physical activity or casual wear. 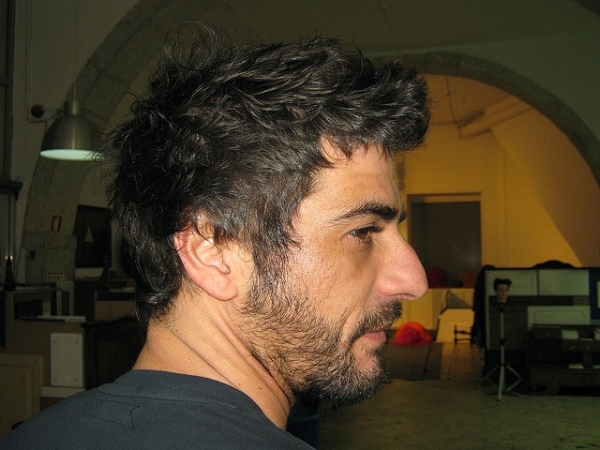 This do is often considered to be a thicker variant of the crew cut. Now as much as this might conjure up an image of a bunch of bankers and stockbrokers, feeding on the blood of the living (a startlingly accurate image, when you think about it), that isn’t quite the idea we had in mind for this cut (and you hopefully shouldn’t be hounded by kids, who’ve been watching Nosfuratu one too many times, wielding crucifixes and garlic). This cut is more reminiscent of the sort of (fake) vampires you might see in one of teh Twilight movies (currently bracing myself for when every Twilight fan in a 10 mile radius comes to burn my house down and hang me with an Edward Cullen pillow case over my head.) This cut is smooth, short (reaching only down to the ears in length) and is perfect for any business ventures and time spent in the office. In order to obtain yourself this haircut, you need to work a little styling product thoroughly into your do, ensuring that you part your hair sideways with a comb. Next, proceed to use your hands to work some texture into that do of yours. 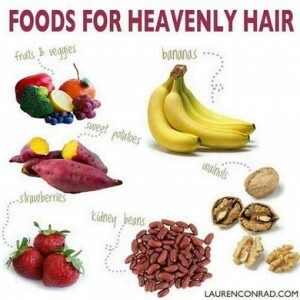 Be sure to use a styling product which has some form of holding quality. Now this look is modelled after the old haircuts you might have seen on the lawbreakers and alcohol-swindling rogues of the 20s prohibition. You might have seen this kind of haircut on the likes of Tom Hardy, when he’s not too busy making angry faces at Batman (please try to read the rest of this article without doing your best “AHA BATMAN!” please). This cut is relatively thin, save for the top where the hair is concentrated quite well. The sides are relatively short, while the back is left to be much thicker and longer, reaching far down at the neck. The do can look pretty sleek, when worn right. You can grab yourself this haircut, by having your hair trimmed down so that the sides are incredibly short while the hair at the back is thicker, but slowly fades out as it stretches down your neck. You should keep around an inch of hair on top, and add a little holding gel onto the do to keep it sleek and shiny. This do is a classic cut, which you might see often borne by the likes of Ryan Gosling when out and about, and on the red-carpet (Yes you heard right, we said Ryan Gosling. Don’t get too excited, man. You’ll scare the children). This cut makes use of a relatively thick layer of hair on top, which is heavily combed back, and gives you the look of a more stylish businessman. This look is pretty perfect for your working/making trips to the city, and looks good with any suit. You can get yourself this cut by first having your hair cut down to the classic square cut, with a little extra thickness all around. Proceed to dampen your hair, and add some sort of a styling mousse, before combing it right back to give it that slicked-back look. And now we thought we’d finish off with a simple classic (no shortage of ideas right here folks, no sir we swear –and no one believed him-). This cut is the classic cut, adopted by many branches in military units around the world. This cut (as to be expected form a military cut) is highly practical, requires little maintenance, and is suitable for just about any sort of situation. The cut is incredibly shot, with practically no sides or back, while the top almost leaves you bald, though it doesn’t quite turn your head into a second moon (sadly). The do is shorn short in the military in order to decrease the probability of lice and decrease the chances of your hair getting in the way of anything. 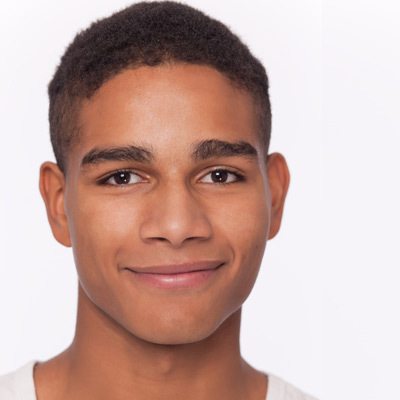 Obtaining this cut is just about as simple as it can get: you just need to head down to your local stylist/barber/mother and ask them to give you a full buzz cut. You might want to, occasionally, add a little spot of scalp moisturizing product, in order to keep things clean up there. Well that’ll be all from us. We’ve covered a variety of hairstyles, from ones which are so short they seem non-existent to ones which push the very boundaries of what we might call short (something which may or may not have happened for lack of ideas, though don’t tell anyone). We’ve covered a variety of haircuts which require some form of product or another, and so you should so some research into the products which are right for you and your hair-quality.